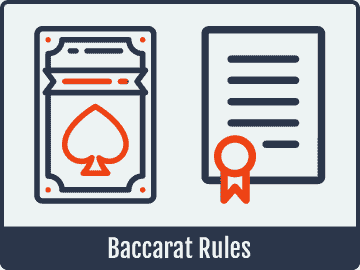 The rules of Baccarat can vary somewhat depending on the exact style that you’re playing, especially online, but the basic ideas and strategies remain mostly the same except for certain fringe cases. 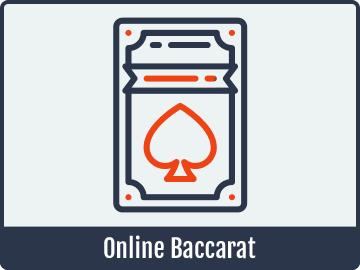 Baccarat is the type of game that really saw the light of day whenever online casinos became popular. Before that, it was usually only played for high stakes in land-based establishments, and a much smaller portion of the population actually knew anything about it. As such, it gained a reputation for being a game that was normally played by the social elite only, and it would come with its own high roller areas with high minimum bets, etc. These days, you can play Baccarat pretty much anywhere online that offers casino games, so the accessibility is much higher. On top of that, you can play for pennies instead of having to wager hundreds or thousands of dollars per hand at a minimum, so it’s clear that the accesibility grew from that aspect of play as well. 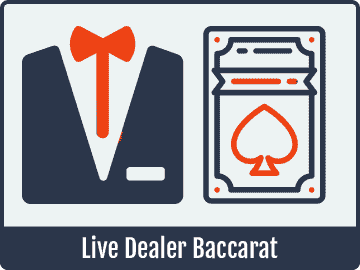 The best casinos for Baccarat will typically offer both live dealer and normal online versions of the game. This gives players the best selection available for what they prefer, and some people actually like to switch back and forth between the two depending on the type of atmosphere they want. You’ll also want to make sure you’re playing with a site that has some reasonable bonuses or promotions for table games along these lines. Before we can even get into what your options are when you’re playing or how the gameplay itself goes, we need to break down the point values and how the deck is constructed for this game. Baccarat uses values that are a bit different from a game like blackjack, even though the two games look somewhat similar at a glance. The aces are always worth one in this game. Likewise, the cards two through nine are always worth their face values. From there, you’re left with the 10, jack, queen and king. All four of these cards have a value of zero and are essentially blank cards for this game. This drastically changes the point-based nature of this title by keeping the point totals much lower than what you would see if they were worth more, but what you’ll find is that it doesn’t actually matter if you score them as zero or 10 because you’ll end up with the same result. 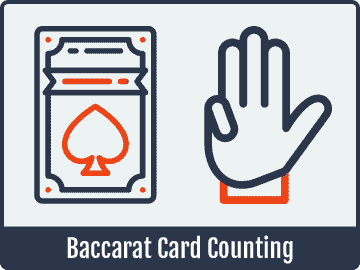 The reason for this is that it’s only the “ones” digit of your score that matters in Baccarat. For example, if you have a 3 and a 4 to get a total of 7, that’s the same as if you have a 9 and an 8 for a total of 17. The right-most digit is all that matters, and in this second case, that would be 7. We’re pointing this out first and foremost because it can be so tricky to get used to if you’re new to the game or if you haven’t played it in quite a while. Given this approach to scoring, you can then understand the object of the game. The basic idea is that two hands are dealt, and they’re called the banker hand and the player hand. A set of rules, which we’ll describe below, determine how many cards are given to each hand (either two or three), and you’ll place bets before the cards are dealt on the result of those two hands going head-to-head. Note that there are only two hands dealt regardless of how many players are at the table. What this means is that even at a table with 12 or 14 people, which can happen with what are called “Big Baccarat” tables that often have three or more members of casino staff handling bets and dealing, only two hands are dealt even then. The procedure for how the hands are dealt is actually fairy straightforward except for one particular aspect of it that we’ll get into below. You start off by making your bets, and then cards are dealt for the player and banker hands. Each hand is given two cards. If either hand scores a total of 8 or 9 at this point, then it’s called a “natural,” and no more cards will be dealt. The results of the bets will be based on these initial point totals from each hand having two cards. If there is no natural, then if the player has a total of 5 or lower, then the player hand is dealt one additional card. No more than one extra card will be dealt in any circumstances to either hand no matter what the totals are. What this means is that the player hand can actually “stand” on 6 or 7 points instead and still only have two cards without having a natural for either of the hands. When the player hand stands, the banker will receive a third card as well whenever its total is 5 or lower. Likewise, if the banker has a 6 or 7 instead, it will simply stand. This leaves one particular case: If the player drew a third card, then the banker may or may not draw a third card. This is the most complicated case because there’s a complicated set of rules that determines when the banker is given a third card here, and we’re going to break it down below. When the player hand has three cards, the banker will be given a third card as well under the following conditions. The two determining factor are the banker’s total score and the value of the player’s third card. When the player’s third card is an 8, the banker stands on a three or higher. When the third card is a 9, 10, jack, queen, king or ace, then the banker stands when it has a four or higher. For a third card of two or three, the banker stands on five or more. If the player’s third card is a four or five, the banker will stand with a total of six or higher. Finally, if the player’s third card is a six or seven, then the banker stands only when it has a seven. As you can see, there’s a fair amount of complication here. As a player, you can pick and choose whether you want to learn these particular rules or not. However, you will want to have a general idea of how the gameplay unfolds so that you know if anything is happening differently than it should, especially in live games. Depending on which style of Baccarat you’re playing, you may have different options available for betting. Traditionally, there are only three wagers that you can pick from: betting on the player hand, betting on the banker hand or betting on a tie. You can often bet on whether the player or banker hand will initially consist of two cards of the same rank, which is called a pair bet, as well. The player bet always pays 1:1, so if you bet 5 chips and win, then you’ll profit 5 chips. The banker bet pays at 19:20, which is a 5 percent commission on a 1:1 bet. This is because it’s a little more likely to win than the player bet. The tie bet, which wins if the banker and player hands end up with the same total, typically pays 8:1. This means if you bet 10 chips and win, then you’ll profit 80 chips on the wager. Finally, the player and banker pair bets usually pay out at 10:1. It’s worth noting that some of the payouts in this game, especially for the tie and pair bets, can be different depending on where you’re playing, so it’s something you may want to take a look at before you put money down at the tables. 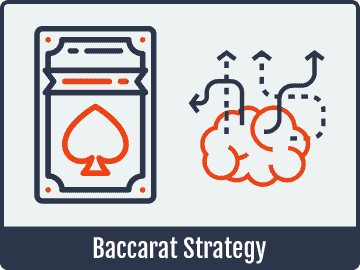 Learning how to play Baccarat isn’t really that difficult if you want to just pick a bet over and over without really knowing the mechanics of how everything comes together. That’s pretty boring for most players, and that’s why we recommend actually learning why the things unfold the way they do. While your strategic decisions in this game and its variations are pretty limited in scope, there’s a fair amount of depth in how the cards are dealt to the two positions, and if you know what all goes into that, then it makes the game much more exciting to play while you watch the dealing unfold.